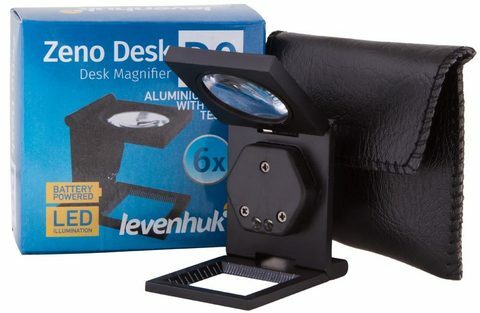 Levenhuk Zeno Desk D0 Magnifier is an indispensable assistant for those who do handicrafts. It can be mounted on a table and is mainly used as a textile magnifying glass. This model is also highly suitable for jewelry, repairing, modeling or sewing applications. 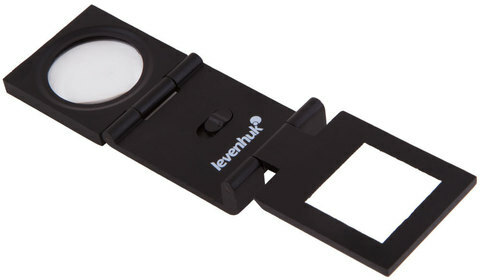 The lens is fixed firmly on the mount, leaving both hands free. 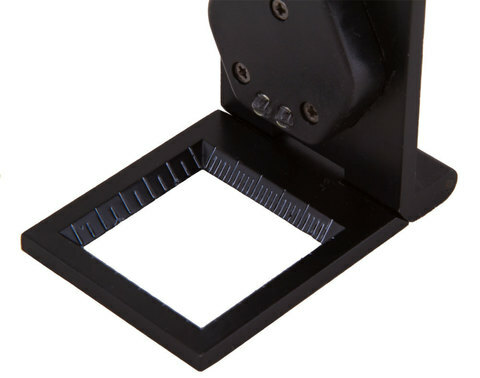 You can also adjust the lens inclination angle according to your needs. 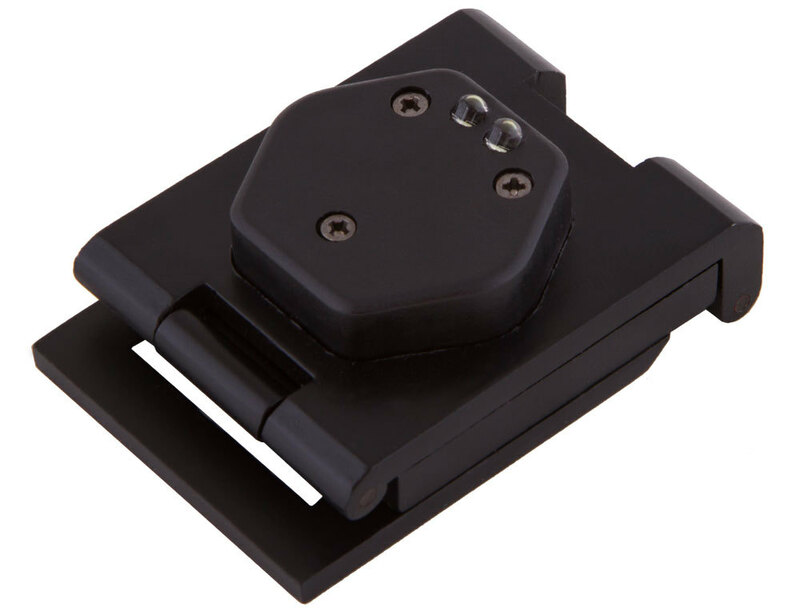 The bottom part of the mount is a frame with a measuring scale in inches and centimeters. 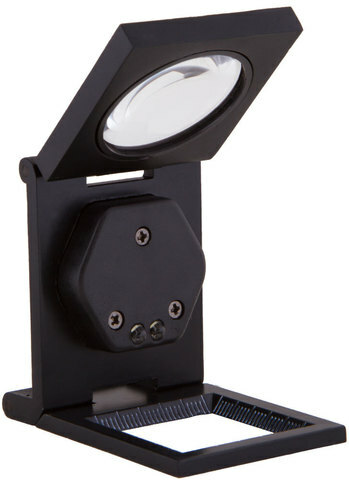 Two LEDs are placed over the frame, and their light is directed right to the field under the lens. The intensity of light is adjustable. 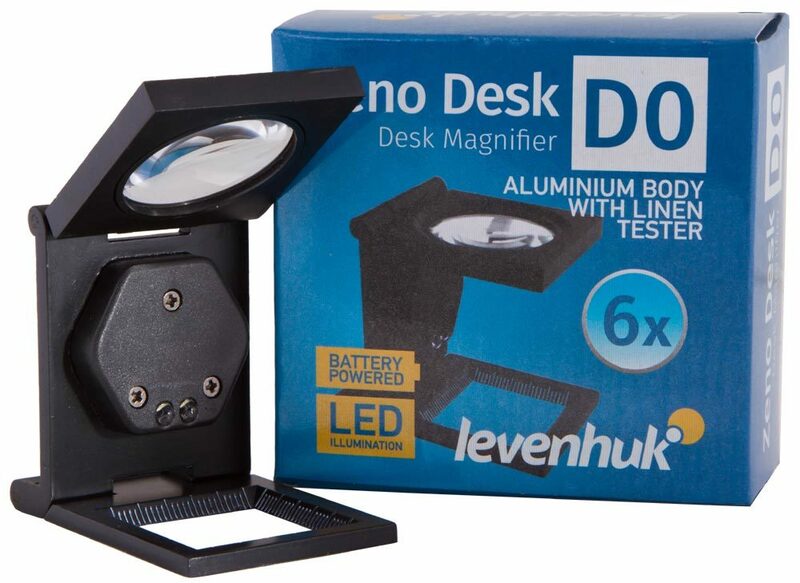 The LEDs are powered by two CR927 batteries. 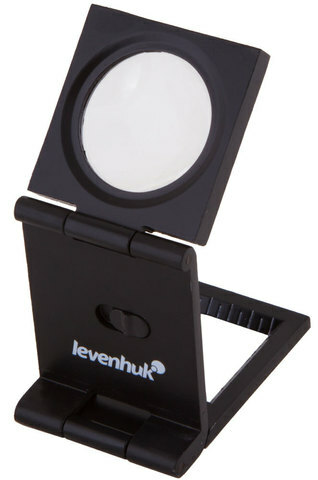 The lens is made of optical glass and provides 6x magnification. 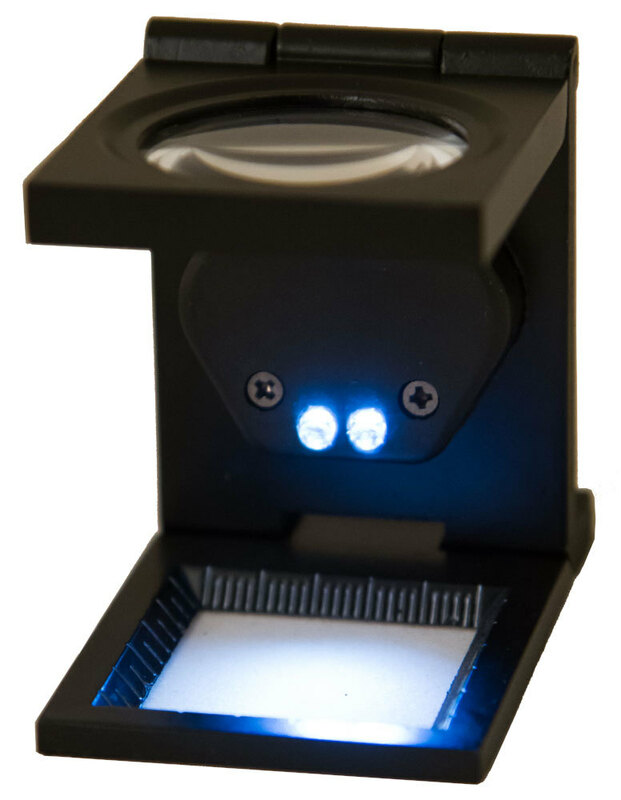 The details of small items are clearly visible, whereas optical aberrations are minimized. 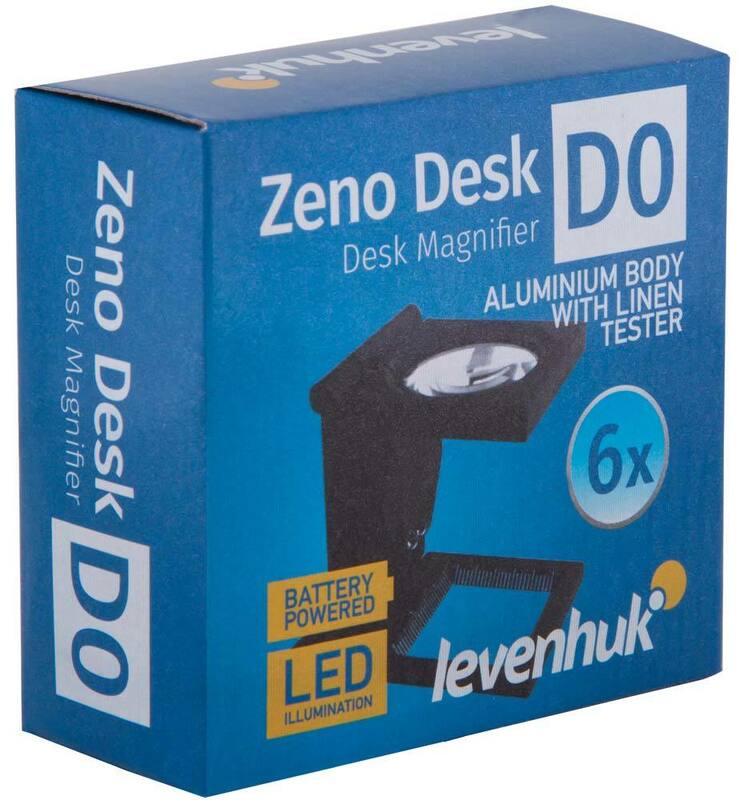 Levenhuk Zeno Desk D0 is perfect for both home and professional use.